Artist: Randy Strong Single artist gallery presentation of new sculptural body of work. 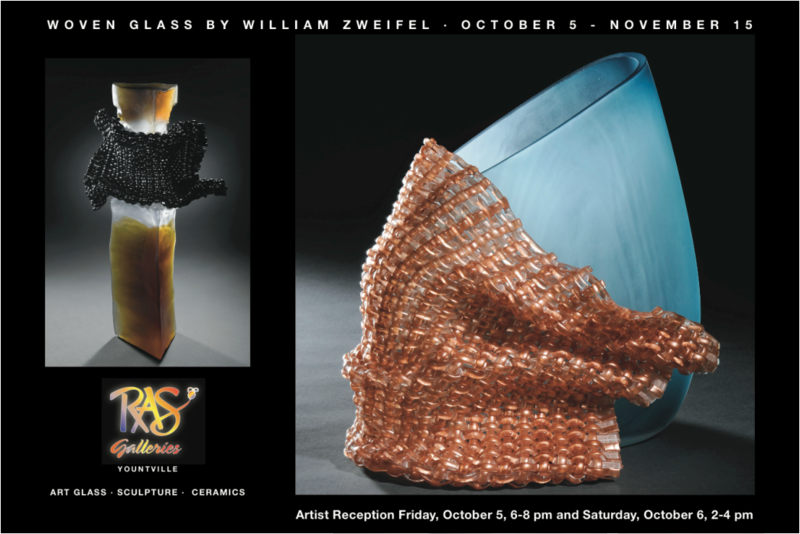 Gallery presentation of Satava Vases, Urns and Jellyfish. Premier of the Douple Jellyfish Series. Artists: Stephen Schlanser Markham Vineyards was the setting for a series of unique large glass works with coinciding gallery presentation. Unique presentation of furniture, ceramics and mixed medium held at Markham Vineyards in St Helena, Napa Valley. Artist: Cynthia Hipkiss A fun gallery afternoon with the artist and her whimsical ceramic figures portraying two of the Napa Valley’s favorite subjects: food and wine.